I am a specialist of contemporary Central and Equatorial Africa and teaches African History at the University of Wisconsin-Madison. Born in France (Marseille) in 1964, I became a student at the Ecole Normale superieure de St Cloud in 1981, and received my Ph.D. in African History in 1994 at the University of Paris-Diderot. 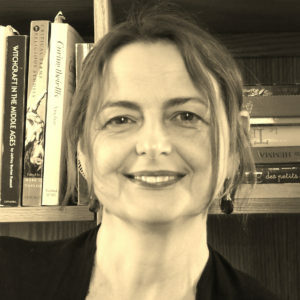 I started my academic career at the University of Aix-Marseille, then at the Ecolone Normale superieure de Fontenay aux Roses, as associate professor in contemporary history. In 1996, I moved to the U.S., and joined the African History Program at the University of Wisconsin-Madison. I accepted a new position at Sciences Po (institute d’etudes politiques de Paris) in 2018, and retired from UW-Madison. 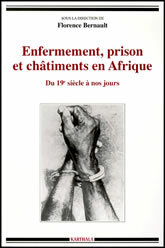 My publications include Démocraties ambigües en Afrique centrale: Congo-Brazzaville, Gabon, 1940-1965, Paris: Karthala editions, 1996; A History of Prison and Confinement in Africa, Portsmouth, NJ: Heinemann, 2003; Ruptures Postcoloniales (co-editor, Paris: La Découverte, 2010); and Colonial Transactions:, Imaginaries, Bodies and Histories in Gabon, Durham, NC: Duke University Press, 2019) historicizes witchcraft in colonial Gabon, and more broadly, the cross-emergence of black and white anxieties about sacred and spiritual agency from the nineteenth century to the present. I have also written extensively on colonialism and postcolonialism, particularly on African and colonial scholars’ engagement with current social crises in France. My work has been rewarded by a John S. Simon Guggenheim Fellowship (2001-2002), a fellowship at the Virginia Center for the Creative Arts (2008) and the Netherlands Institute for Advanced Study (2013-214). I recently served as the African History member on the Editorial Board of the American Historical Review and on the advisory board of the Journal of African History. Aesthetics of Acquisition: Gabonese Spectacles and the Transactional Life of Bodies and Things, Comparative Studies in Society and History Vol. 57, No. 3. (July 2015), 753-779. 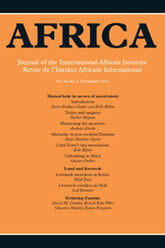 Control and Excess: Histories of Violence in Africa, Africa: Journal of the International African Institute, Vol. 85, No. 3 (August 2015), 385-394. Suitcases and the Poetics of Oddities: Writing History from Disorderly Archives, History in Africa, vol. 42 (2015), 269-277. Carnal Technologies and the Double Life of the Body in Gabon, Critical African Studies, Vol. 5, No. 3 (2013), 175-194. 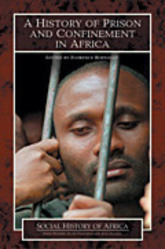 “Witchcraft and the Colonial Life of the Fetish,” in B. Meier and A. Steinforth, eds., Spirits in Politics: Uncertainties of Power and Healing in African Societies, (Frankfurt a.M.: Campus Publishers, 2013), 53-74. “Quelque chose de pourri dans le post-empire,” [Something’s Rotten in the Post-Empire] Cahiers d’études africaines 199 (Dec. 2010), 771-798. 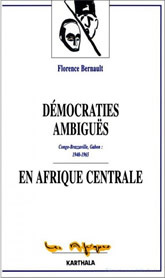 “Colonial Bones: The 2006 Burial of Savorgnan de Brazza,” African Affairs, vol. 109, 436 (July 2010),367-390. 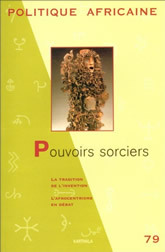 “La chair et son secret: Transfiguration du fétiche et incertitude symbolique au sud-Gabon,” [The Flesh and Its Secret: Fetish and Symbolic Uncertainty in Southern Gabon] Politique africaine, 115 (October 2009), 99-122. 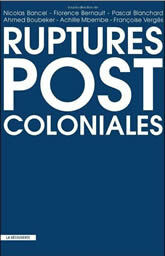 “Colonial Syndrome: French Modern and the Deceptions of History,” in C. Tshimanga-Kashama, D. Gondola & P. Bloom, eds., Frenchness and the African Diaspora, Bloomington, 2009. 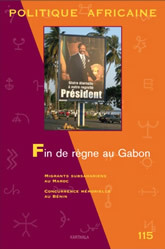 “Fin de règne au Gabon” [End of Gabon’s Monarchy], special issue of Politique africaine, 115 (October 2009), guest editor with Joseph Tonda.